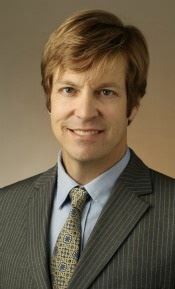 Brett V. Benson is an Associate Professor of Political Science and Asian Studies at Vanderbilt University. His research interests lie in the areas of international relations and Chinese politics and East Asian relations. Professor Benson conducts research on topics related to international politics, Chinese politics, and East Asian political relations. He has written about the role of alliances in East Asia, the impact of the growing trade and investment flows between China and Taiwan on their political and security relationship, the role of Taiwan's democracy and public opinion in influencing the foreign policies of China and the US, the US commitment to defend Taiwan, and strategies of nuclear armament and disarmament. He is is the author of the forthcoming book, Constructing International Security: Alliances, Deterrence, and Moral Hazard (Cambridge University Press). Benson received his Ph.D. (Political Science) and M.A. (Economics) from Duke University. We will also have a forum for Q&A regarding America-China business keys. Members and guests are encouraged to bring questions to the event.